A half century before NFL quarterback Colin Kaepernick took a knee, Olympic gold-medal sprinter Tommie Smith raised a gloved fist. 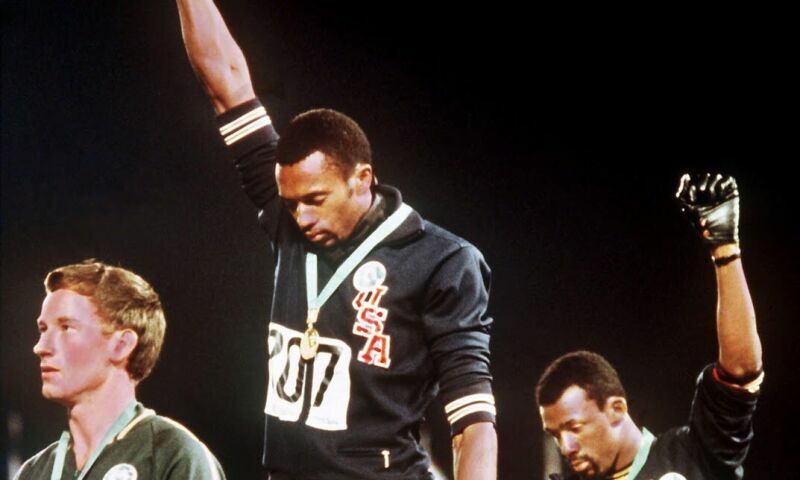 Smith made his historic gesture at the 1968 Summer Olympic Games in Mexico City to protest human rights abuses around the world and bring international attention to the struggle for civil rights in the United States. His act of protest, and its reverberations over the past 50 years, are explored in “With Drawn Arms: Glenn Kaino and Tommie Smith,” an exhibition organized by the High Museum of Art (Sept. 29, 2018–Jan. 6, 2019).